It's official, winter is here. The snowstorm here in Montreal is nearly three weeks late but it is safe to say that winter has officially arrived. I want to take a look back at a destination Mont Tremblant winter wedding at Le Rustique, I was asked to be a part of just over one year ago today. 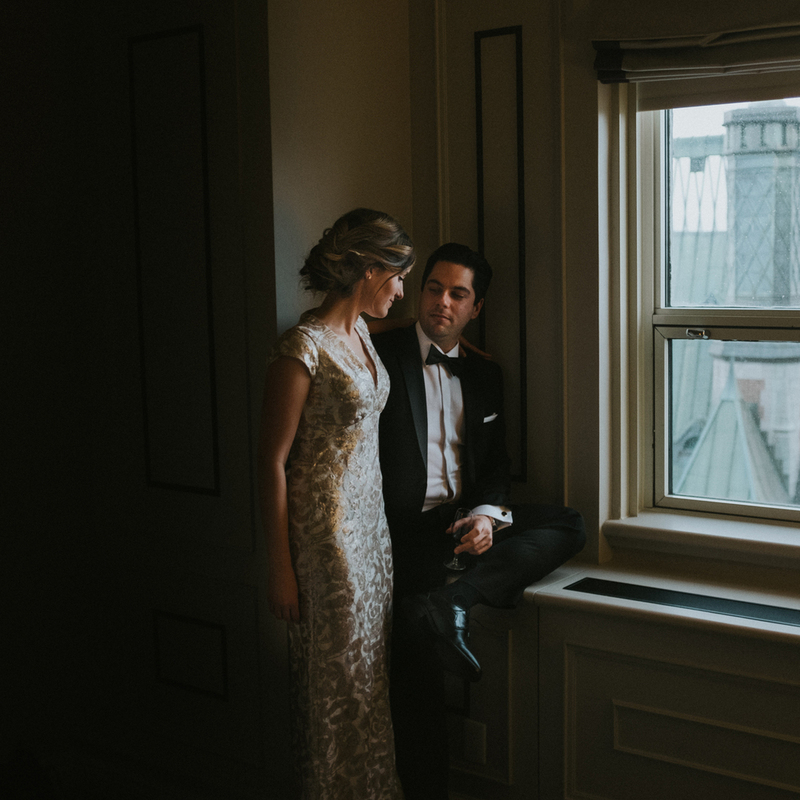 Amanda and Dean had their cozy Mont Tremblant wedding just days into 2015, and it was an honour to be there to capture these images for them and their closest friends. Their ceremony and reception was held at Le Rustique, a well celebrated rustic restaurant with a very warm and cozy interior, a perfect space for this occasion. Surrounded by the snow capped mountains, Amanda and Dean stood in the bright winter sun, braving chills and frost for their wedding day portrait session. They didn’t complain for a minute. Amanda & Dean celebrate their winter wedding @ Le Rustique, Mont Tremblant, Quebec. Weddings are the best time to take risks, fashion wise, photography wise, you can do no wrong at your own party. I love couples that are up for anything, and bring strong opinions and ideas to their portrait session. Amanda & Dean, thank you so much for making the most cozy cabin, and staying fearless against frost.